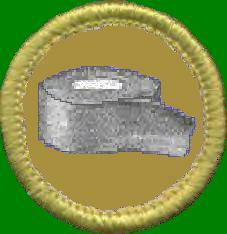 This site is in place to inform people about the proposed Duct Tape Merit Badge. On this site you can view the requirements. If you support the creation of this badge as a non-required BSA Merit Badge, please write to National or print, sign and mail the pre-written letter available on this site. Every letter counts and the more support there is, the more likely it will be approved. Welcome to the Duct Tape Merit Badge promotional page. Use the menu at the side of all the pages on this site to navigate the site. Thank you for your interest! If you are a Webmaster, be sure to check out the Webmaster section by using the link at the top of this page! There are banners and pop-up advertisements that appear on this site. The banners and advertisements are the sole responsibility of gobot.com and to not express the interest of the Duct Tape Merit Badge support page. Jim and Tim (The Duct Tape Guys) endorse the creation of a duct tape merit badge. Visit Jim and Tim's Duct Tape Merit Badge Support Page.